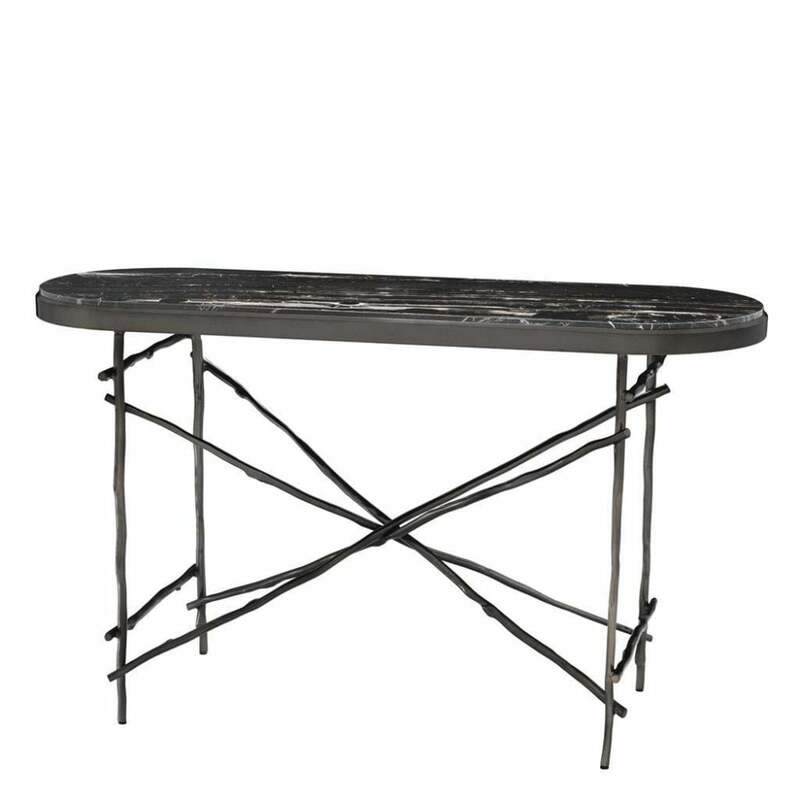 A unique design with unexpected detailing, the Tomasso Console Table by Eichholtz features a beautiful table top crafted from exquisite black portoro marble. A luxurious addition to an entrance hall or dining room, each table has a unique surface pattern. The portoro marble is formed from natural fine-grained stone and distinguished by its gold and silver thread-like veins. The console table is enhanced with a glossy polished finish to bring out the colours and textures of the marble. Complemented with iron legs in a twisted cross-leg design, the Tomasso console exudes sophisticated glamour. Style with a glass lamp, scented candles and lush greenery to create an elegant surface top display.